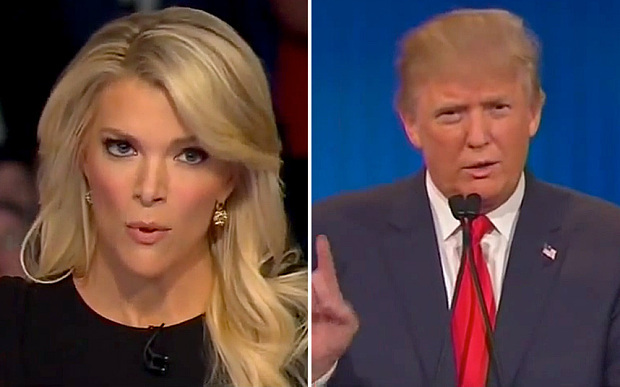 Megyn Kelly used her role as debate moderator to attack and smear Donald Trump. Megyn Kelly has made it a staple on her show to attack Donald Trump or invite anti-Trump guests on her show to sully the GOP frontrunner. Despite her constant attacks Donald Trump agreed to meet with Megyn Kelly today at Trump Tower. Fox News chairman Roger Ailes was not in attendance, the people said. An NBC reporter spotted Kelly entering Trump Tower shortly before noon. Representatives for Trump and Fox had no immediate comment. But Kelly is planning to discuss the meeting on her prime time program Wednesday night. Kelly reached out to Trump’s office to set up the meeting, one of the sources said. The face-to-face chat raises the possibility of a Kelly-Trump interview sometime in the future. Trump’s intense dislike of Kelly — who he has called unfair, overrated and even “crazy” — has been one of the subplots of his run for president. Trump has essentially said she started it by treating him unfairly during the first GOP debate of the season last August. The candidate and the journalist did not speak for months afterward. In fact, he skipped the next Fox debate, in January, which she co-moderated.